Susan Heyn is a left-handed crocheter, and she first started when she was sick in bed at age 6. Her mom, also a left-handed crocheter, taught her the basics and she's been "hooked" ever since. Susan owned a small craft shop for a long time but closed it over a year ago to focus on designing, and she's been self-publishing on Ravelry for several years. After attending her first CGOA conference in Manchester, NH in July 2014, she sold her first design to Red Heart yarns. Since then, Susan has sold a few other designs to Red Heart, one to Mainly Crochet and also to I Like Crochet. 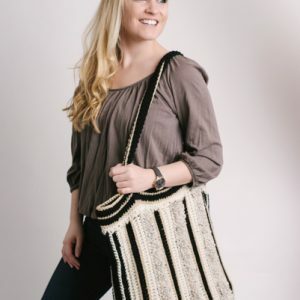 Some of her favorite things to crochet and design are holiday items and afghans, and she loves using textured stitches such as popcorns and post stitches in many of her designs. 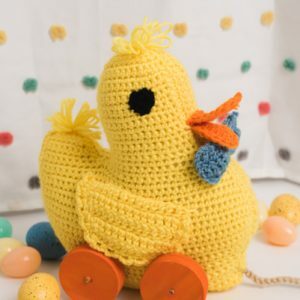 Daffodil is a sunny yellow duck that will happily join in on your spring adventures. Styled to be reminiscent of an old-fashioned pull toy, this duck will add a vintage charm to any room. Note: This is intended to be a decoration. The wood wheels and cord could be a safety concern for small children, so please use your best judgment. Gloria is about 8” tall and will look cute sitting on your child’s bedside table for evening prayers. This is an easy pattern and would be a great project for a last-minute gift. It may look intricate, but this pattern’s reversible design is easy to make! The dishcloth’s reversible design is created by working the long-dropped double crochets around the post of the stitch instead of working into the stitch. 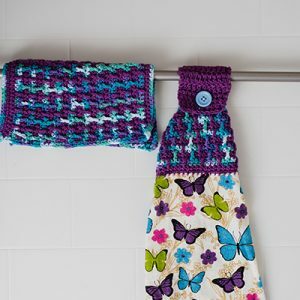 Make a second towel topper and dishcloth by working into the front posts instead of through both loops, and before you know it, you’ll have the perfect kitchen set! This colorful treat bag is worked in corner-to-corner style and features an owl on the front with flameless tealight candles for eyes. 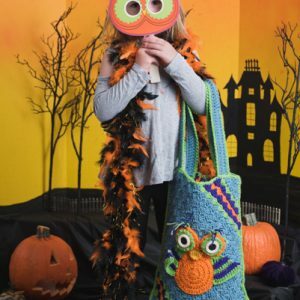 Perfect for even the longest of trick-or-treating adventures, this roomy owl bag is ready to light up your holiday! A variety of stripes and loop stitches give this handy tote lots of texture. Roomy enough to hold all your daily essentials, this intriguing project is also incredibly fun to make! 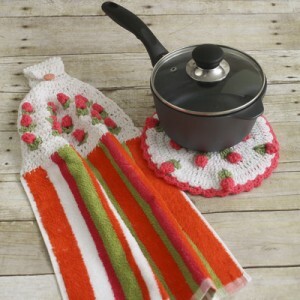 Crochet your own hotpad and towel topper with this fun and colorful set. Together, these projects are a great way to freshen up your kitchen with some fun floral hues. A classic style button down cardigan features a popcorn stitch in the center of each gingham square. This pattern is available for sizes Small – 2X and can be customized to any number of colors. 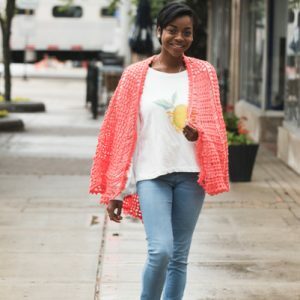 Crochet a large shawl in the vibrant color of a pomelo and wear it well into spring. It’s the perfect bold piece to add to your winter wardrobe. This handy project is simple yet sophisticated. 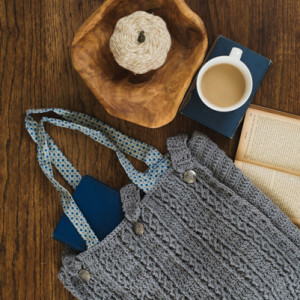 Generously sized with crochet cables, this bag will fit your needs for trips to the library or much-needed weekend getaways. Sew in a liner to make it extra sturdy. 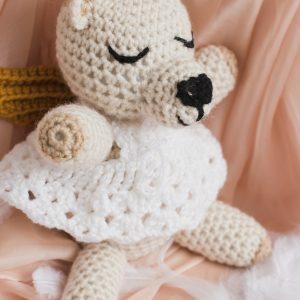 As Clear As Crochet – Why Is Crochet Better Than Knitting? Each interactive digital issue is optimized for tablet and features top-rated projects, gorgeous photography, step-by-step instructions, patterns, charts, video and more. Subscribe to any tablet edition on our website, or use your iPad or Android tablet to subscribe in the Apple App Store or Google Play store.